Bisous Chic: Bisous Bee is Live!!! Bisous Bee ring shop is open and live as of today!!! I am very excited to share with you what I have been working on for couple of weeks. 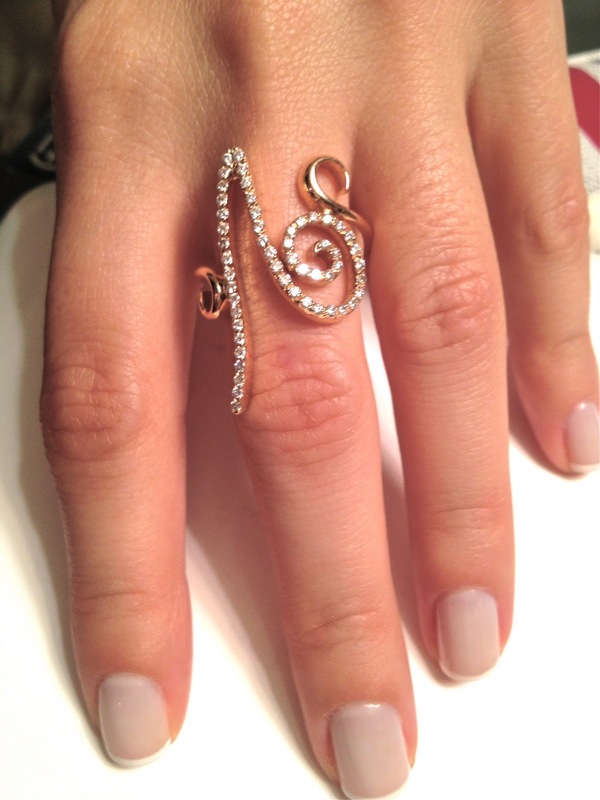 These custom made diamond studded alphabet rings are specially made in Turkey. 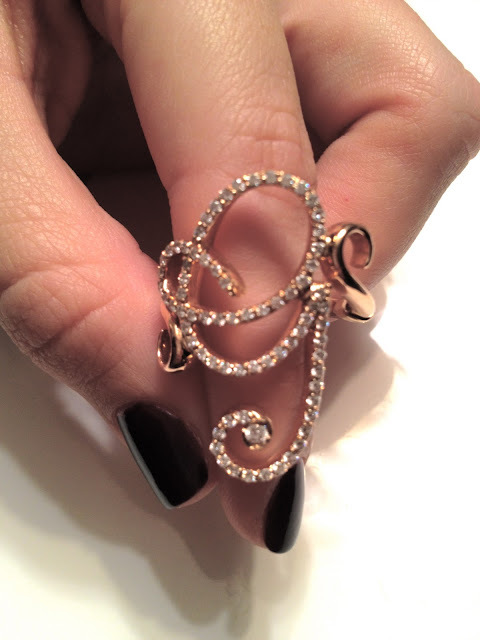 The quality, style, and customization is what makes them so unique, Whether it is White, Yellow or Rose, the 18-Karat Gold rings cover every letter of the alphabet (A to Z). The vision of Bisous Bee is to create jewelry for women who are looking for a sophisticated and elegant look, while still maintaining the casual ease. 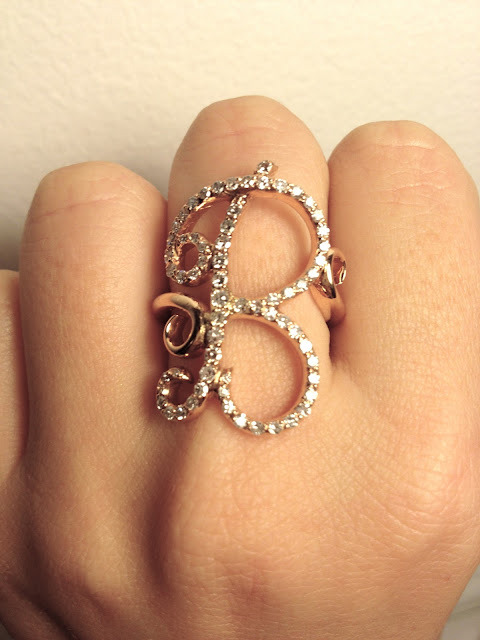 Bisous Bee alphabet rings will definitely make a statement whether you are going to a black-tie event, a wedding or even going for a coffe with girlfriends. 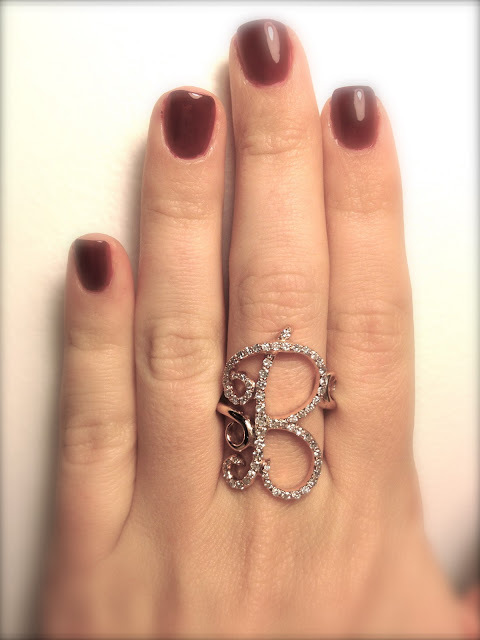 The ring is priced at $2,000, you can order through www.bisousbee.com/Shop, or through Bisous Bee Etsy Shop. If you have any questions, please feel free to send me an email at info@bisousbee.com. Check out Bisous Bee Faceboook Page for more pictures, and follow Bisous Bee on Twitter for updates.